Chuck Arnold (Dan Dailey) is the leader of a successful dance band touring the Midwest in the late '20s. One night at a dance the older, more worldly Chuck meets sweet young Peggy Mayhew (Jeanne Crain), and the two instantly discover they share a combustible chemistry. Within 24 hours, Chuck convinces Peggy that YOU WERE MEANT FOR ME and they marry. Chuck and Peggy both work to adapt to life as a married couple on the road with the band. All goes well...until the stock market crashes and the band's bookings dry up just when they're on the verge of big-time success in New York. Chuck and Peggy move in with her parents, but Chuck struggles to adapt to a 9-to-5 life, while dreaming of reviving his musical career. This is a very enjoyable movie. The first half hour of the film is a fairly close, but uncredited, remake of an earlier Fox film, ORCHESTRA WIVES (1942). After Chuck and Peggy marry, the plot then detours into fresh territory -- there are no other "orchestra wives" in this film -- examining the impact of the stock market crash on Chuck's career; a few plot incidents in the last hour of the film continue to echo ORCHESTRA WIVES, particularly the final scene. The film loses a bit of its fizz in the second half, as Chuck and Peggy struggle financially, but all in all it's a very good film. Dailey and Crain are excellent, and their early romantic scenes are quite electric. Crain aptly conveys Peggy's youth and inexperience, as she nervously primps when called to the stage at the dance or attempts to take a drink because she thinks that's what Chuck will expect from a date. Peggy's also got nerve, whether it's taking the bus to Peoria hoping to see Chuck the night after they first meet, eloping, or attempting to get him to wake up to financial reality. This is a very strong performance by Crain which is up there with her best work in films like STATE FAIR (1945), MARGIE (1946), and APARTMENT FOR PEGGY (1948). Dailey is likewise very good as Chuck, who is set in his ways but learns what it means to care for another person, rather than focusing solely on his career. Dailey always seems to have a hint of a dark undercurrent, which works well with his character. He has the opportunity to do some singing and dancing, and he and Crain have a very cute routine to "Ain't She Sweet" late in the film. Oscar Levant works hard to steal the movie, and nearly succeeds. He plays the band's pianist-manager who is initially wary of Crain but comes to respect and care for her. Levant even sneaks in a bit of Gershwin's CONCERTO IN F in a late-night hotel scene. Levant's role appears to have been loosely based on Cesar Romero's role as the pianist in ORCHESTRA WIVES. Barbara Lawrence, a very interesting actress whose career should have gone further, is sadly underutilized in a handful of scenes as Crain's hometown friend. Herbert Anderson (DENNIS THE MENACE) plays Lawrence's beau. Crain's parents are played by Selena Royle and Percy Kilbride. 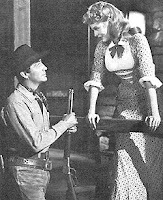 Kilbride appeared in this movie the year after he first played Pa Kettle, in THE EGG AND I (1947); in 1949 he returned to the role in MA AND PA KETTLE. A Kettle film was released every year through 1955. My only real criticism of the film is that it ends a bit abruptly, and Oscar Levant's final scene, while quite funny, is also baffling. A bit more exposition would have been a fine thing. YOU WERE MEANT FOR ME was directed by Lloyd Bacon. It was shot in black and white and runs 92 minutes. This film can be seen periodically on Fox Movie Channel. It has not had a video or DVD release. Fans of Crain, Dailey, or '40s Fox musicals will greatly enjoy YOU WERE MEANT FOR ME. 2012 Update: YOU WERE MEANT FOR ME is now available on DVD-R from Fox Cinema Archives. 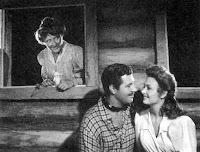 Before the musicals MOON OVER MIAMI (1941) and THREE LITTLE GIRLS IN BLUE (1946), there was the delectable romantic comedy THREE BLIND MICE, starring Joel McCrea, Loretta Young, and David Niven. This time around the story doesn't take place in Miami or Atlantic City, but at a resort in Santa Barbara, California. Loretta Young and her sisters, played by Pauline Moore and Marjorie Weaver, are farm girls in search of rich husbands. The likely prospects are Joel McCrea and David Niven. How lucky can a girl get? The stars are all charming, with special kudos to one of my very favorite actors, Joel McCrea, who rates a real "wow" in this film. The ladies in the audience will understand what I mean when they see his first scene. Loretta is beautiful, Niven is droll, and it's all great silver screen fun. My only criticism is I felt the relationship between Niven and Weaver needed at least a scene more to develop. I have a feeling they might have had a scene cut out of a dance sequence midway through the film. The movie is quite short, at 75 minutes, and could have stood being just a bit longer. Some trivia for classic film fans: the year after THREE BLIND MICE, Pauline Moore and Marjorie Weaver played Ann Rutledge and Mary Todd in John Ford's YOUNG MR. LINCOLN. The supporting cast is headed by Binnie Barnes in a marvelous turn as Niven's giddy sister. (This is the role played by Celeste Holm in THREE LITTLE GIRLS IN BLUE.) Barnes is absolutely wonderful, particularly in a scene where she's serving cocktails. 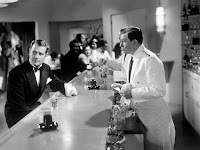 Stuart Erwin is the bartender who catches the youngest sister's eye, and Franklin Pangborn has a scene as a hotel clerk. Leonid Kinskey is one of Barnes's beaus. Jane Darwell and Elisha Cook Jr. are also in the cast. The California setting lends itself nicely to the story, including a fiesta barbecue scene with marvelous costumes. (Gwen Wakeling was the costume designer.) The sparkling black and white cinematography is by Ernest Palmer, who later photographed the Technicolor remake THREE LITTLE GIRLS IN BLUE. The movie was directed by William A. Seiter. THREE BLIND MICE is a short but effervescent treat for fans of '30s romantic comedy. 2012 Update: THREE BLIND MICE is now available on DVD-R via the Fox Cinema Archives. Here's another story from the BBC in 2003. Ironically, Todd later appeared in films about D-Day, including Robert Taylor's D-DAY THE SIXTH OF JUNE (1956) and THE LONGEST DAY (1962). Todd also notably starred in THE HASTY HEART (1949), also starring Ronald Reagan and Patricia Neal, and in a trio of British-made Disney films: THE STORY OF ROBIN HOOD AND HIS MERRIE MEN (1952), THE SWORD AND THE ROSE (1953), and ROB ROY, THE HIGHLAND ROGUE (1953). Mr. Todd turns 90 just a few days after next week's commemoration of the 65th anniversary of D-Day. He calls D-Day "the most significant day in the history of the world." Mr. Todd, we salute you and every man who fought on that day, especially those who never came home. You all changed the world forever. December 4, 2009 Update: Mr. Todd has passed away at the age of 90. ...and the exterior of Shakespeare's Globe, where our daughter had seen ROMEO AND JULIET a few days previous. ...which is actually quite interesting, in a stark sort of way, once you're inside. I found the museum's overall design one of its most enjoyable aspects. Modern art isn't really my thing, but they did have some works in the collection which I found of interest, including Monet's Water-Lilies (After 1916) and many paintings by Picasso. 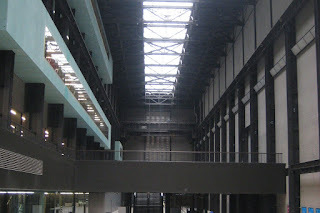 Like many museums in London, admission to the Tate is free of charge. It is requested that you make a donation in an amount of your choosing as you enter or exit. Later in the day we walked over the bridge and visited St. Paul's Cathedral. Seeing the tombs of Lord Nelson and the Duke of Wellington in St. Paul's Crypt is a moving experience for any student of British history. Christopher Wren is also interred in the Crypt. I was curious that there is now a fairly substantial admission fee to tour St. Paul's; apparently this began in 1991 to help pay for maintenance. There is no fee for those who are there to worship. Previously: Day One (London museums); Hampton Court Palace; Kensington Palace and the Albert Memorial. Coming Soon: Windsor Castle (with a cameo appearance by Prince Edward); Blenheim Palace; The Imperial War Museum; and more on Disneyland Paris. "The Toys Are Back in Town!" Click the title of this post for a First Showing webpage with the first teaser trailer for TOY STORY 3. But why isn't Bo Peep in the trailer? As it happens, Annie Potts isn't listed at IMDb, either, but it looks like the rest of the gang are all returning, including Jodi Benson (THE LITTLE MERMAID) as Barbie. She was the voice of Tour Guide Barbie, who was very amusing in TOY STORY 2. IMDb rumors that Michael Keaton will voice a Ken doll. Is one of the new toys for TOY STORY 3 hidden in UP? I'm very much looking forward to the release of the first TOY STORY film in over a decade. GENTLE ANNIE is an unexpectedly lovely little film about a family of kindhearted train robbers. Marjorie Main, in the film's title role, is the head of the clan, and her sons are played by Henry (Harry) Morgan and Paul Langton. James Craig plays a federal marshal searching for the train robbers who finds himself torn between duty and friendship. Donna Reed plays a homeless waitress taken in by Annie's family who is attracted to the marshal. The performances are uniformly excellent. I particularly liked Morgan's understated performance as the devoted son who also happens to be a train robber and who proves to have his own unique kind of honor. The entire cast is solid. James Craig has been somewhat overlooked for the fine work he did in MGM's superb mid-'40s Americana films THE HUMAN COMEDY (1943) and OUR VINES HAVE TENDER GRAPES (1945). He also appeared to good effect in LOST ANGEL (1943) and LITTLE MISTER JIM (1946). Craig notably appeared in KITTY FOYLE (1940) prior to signing at MGM. Although his acting career stretched over 35 years, his time at the top of the profession was relatively brief. 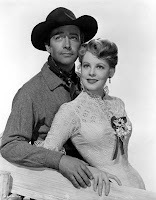 IMDb has the interesting information that GENTLE ANNIE began filming in 1942 with Robert Taylor and Susan Peters in the leads, and James Craig playing a different role. The cast also included Van Johnson and Spring Byington. Filming was suspended when director W.S. Van Dyke became ill and the movie was ultimately recast. As much as I liked the finished product, I can't help wishing for an alternate universe where we could see how the movie would have turned out with the excellent original cast! GENTLE ANNIE runs 80 minutes. It was shot in black and white. IMDb says that some of the exteriors were filmed in Agoura, California. MGM's Western street is also used in a number of exterior scenes. 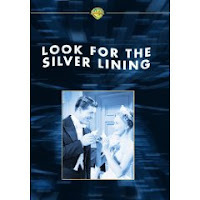 The film was based on a book by McKinlay Kantor, whose writing also inspired the films HAPPY LAND (1943), THE ROMANCE OF ROSY RIDGE (1947), and the great postwar classic THE BEST YEARS OF OUR LIVES (1946). The movie was directed by Andrew Marton, who filmed several Stewart Granger pictures including one of the great adventure movies of all time, KING SOLOMON'S MINES (1950), as well as THE WILD NORTH (1952) and GREEN FIRE (1954). Martin was one of the directors on THE LONGEST DAY (1962) and worked on many outdoor adventure TV series including SEA HUNT, FLIPPER, and DAKTARI. GENTLE ANNIE has not had a DVD or video release, but it is part of the library at Turner Classic Movies. The trailer can be seen at TCM here. You can read more about the film at Screen Savers, where John Di Leo describes the film as having "a surprising depth of feeling." GENTLE ANNIE is an unusual little movie which is worth taking the time to check out. Without any fanfare, classic film DVDs in Warner Archive packaging have begun turning up at Amazon, marked as "Amazon.com Exclusive." 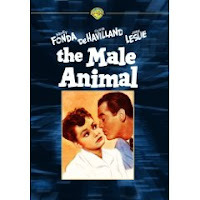 Titles include THE STRAWBERRY BLONDE (1940) and THE MALE ANIMAL (1942); the latter was briefly reviewed here. These "Amazon exclusives" in Warner Archive packaging are not listed at the Archive site itself, where films sell for $19.95. The Warner "Exclusive" DVDs on sale at Amazon are priced at...are you ready?...$28.98 per title. Assuming these DVDs are identical in format to other Archive movies, that $28.98 won't even get you chapter selections! As chronicled here, the Archive shows promise as a way to get many movies which otherwise wouldn't see DVD release into the hands of consumers. However, some concerns are growing. For instance, contrary to Warner Bros.' pledge that the Archive would not impact their retail program, announcements of new classic film releases for the coming months have come to a standstill. The announcement of WAGON MASTER (1950) for a September release was thus especially welcome news. But where are any other boxed sets, including the promised Film Noir Volume 5 Collection? The pricing of $19.95 has also been a major concern for collectors who are accustomed to buying a set of five films, complete with extensive extras, for a far, far lower price than the $100 it would now take to buy five films from the Archive. Given that $19.95 is at the very top end of being reasonable for a "plain vanilla" release with no chapter selections and often no trailer included, the price of $28.98 for a single DVD strikes me as completely ridiculous. This pricing is a bit reminiscent of the VHS market of roughly three decades ago, before videos were priced for "sell-through" to home consumers; does anyone else remember the short-lived bad old days when videos were mostly bought by rental companies and were priced for around $75? This isn't quite that bad, but they sure seem to be trying to push the top edge of the price envelope. A discussion on this topic has been taking place at the Home Theater Forum, starting on Page 59 of the Warner Archive thread. Post 1782 lists a few more titles in Archive packaging which have been found at Amazon. The latest title announced for the Warner Archive is FOUR'S A CROWD (1938), reviewed here. Previously: The Warner DVD Archive; Report on Home Theater Forum/Warner Bros. DVD Live Chat; Great News for Maverick Fans; Tonight's Movie: Private Lives (1931); New Warner Archive Releases Announced; More Warner Archive Releases; Even More Great New Warner Archive Titles. Saturday Update: Thanks to Raquel for the information that Warner Archive DVDs are now being sold at the Turner Classic Movies site. They are selling for $17.99 ("was $19.99"). Thus far I have only found titles available at TCM which are also available at the Archive site. I'd also like to publicly state once again that Warner Archive desperately needs to overhaul its messy website, and in particular have an area where consumers can clearly track the latest releases as they occur. Having 50 titles under "New Releases," many of them dating to the program's inception, is no help whatsoever. I've been meaning to return soon to the subject of my TV on DVD Wish List, and was delighted to discover that two fondly remembered TV-movies from the '70s and '80s have made their way to DVD. 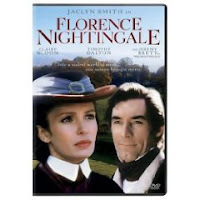 FLORENCE NIGHTINGALE (1985) stars Jaclyn Smith in the title role. (Click title of post for the DVD link.) Smith starred in several colorful TV-movies and miniseries in the early '80s; GEORGE WASHINGTON (1984), starring Barry Bostwick in the title role, is high on my wish list, and I'd also enjoy seeing JACQUELINE BOUVIER KENNEDY (1981) again. Smith wasn't the world's greatest actress, but she had a certain reserve which worked well in these parts, and -- as demonstrated by FLORENCE NIGHTINGALE -- she was surrounded by excellent actors and production values. FLORENCE NIGHTGALE had a top-drawer cast including Claire Bloom, Timothy Dalton, Timothy West (EDWARD THE KING), and Jeremy Brett. The 1979 TV version of THE MIRACLE WORKER (DVD link here) has also been released. This film is a bit unique in that Patty Duke, who played Helen Keller in the 1962 original, here plays Annie Sullivan, with Melissa Gilbert (LITTLE HOUSE ON THE PRAIRIE) as Helen. The movie also stars Diana Muldaur. This was the first of a string of very good TV-movies Gilbert made when on hiatus from LITTLE HOUSE. In 1980 she starred with Maximilian Schell and Joan Plowright in an excellent version of THE DIARY OF ANNE FRANK, and in 1981 she tackled SPLENDOR IN THE GRASS with Eva Marie Saint and Ned Beatty. Gilbert also played missionary Jean Donovan in CHOICES OF THE HEART (1983) and starred in one of my all-time favorite guilty pleasure TV-movies, BLOOD VOWS: THE STORY OF A MAFIA WIFE (1987). (Depressing ending, but compulsively watchable. It's even got Talia Shire, straight out of the GODFATHER cast; Joe Penny is a charismatic actor whose career as a leading man was far too short.) Apparently BLOOD VOWS was available as a DVD import at one time, but no longer. FLORENCE NIGHTINGALE and THE MIRACLE WORKER are each available for under $10 from Deep Discount and can also be rented from Netflix. Great news found in a discussion thread at the Turner Classic Movies forum: one of my very favorite John Ford films, WAGON MASTER (1950), comes to DVD on September 15th. The DVD will include a commentary by Peter Bogdanovich and star Harry Carey Jr. WAGON MASTER is a marvelous film in which Ford promoted his perennial stock company players Carey and Ben Johnson into leading roles as guides of a Mormon wagon train. The movie also features Ward Bond, Joanne Dru, a wonderful score sung by the Sons of the Pioneers, and great Utah locations. It's "must viewing" for fans of classic films in general, and Westerns in particular. It's deja vu...once again, Pixar appears to have a four-star hit on its hands with its latest release, UP. The voice stars include Ed Asner and Christopher Plummer...and yes, Pixar's "good luck charm," John Ratzenberger, has a role as a construction foreman. USA Today's 4-star review (click title of post) headlines: "Soars with delight...great visuals." "The company...maintains its standard of excellence. UP will elicit a giddy joy among audience members with its gorgeous visuals and glossy 3-D animation. But the film's exquisite emotional depth puts it in a category of its own... Easily the summer's, and probably the year's, most enchanting movie, UP is a buoyant delight." The New York Daily News: "Will enchant viewers of all ages." "Every detail...has been tended to by a Pixar perfectionist." And the Los Angeles Times: "It's not only good, it's one of Pixar's best. Some films are an obligation to write about, UP is the purest pleasure... Rarely has any film, let alone an animated one powered by the logic of dream and fantasy, been able to move so successfully -- and so effortlessly -- through so many different kinds of cinematic territory." Saturday Update: Leonard Maltin weighs in, saying the film is "an amazing achievement... I can’t remember the last time I saw an animated feature that even attempted to touch on so many emotions. This one swings for the fences—and connects." 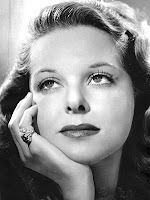 Actress Jane Randolph, who played Alice in Val Lewton's CAT PEOPLE (1942) and CURSE OF THE CAT PEOPLE (1944), has passed away at the age of 93. Randolph also appeared in Anthony Mann's RAILROADED! (1947). Randolph made a unique contribution to Disney film history, serving as an ice skating model for the ice sequence in BAMBI (1942). She retired for marriage to Jaime del Amo, whose family developed the Del Amo shopping mall in Torrance, California. Late Update: An obituary from The Washington Post. Studying Abroad: What Happened to Personal Responsibility? USA Today ran an article today bemoaning the fact that there is no federal oversight of study abroad programs, and that there is no national agency charged with keeping records of study abroad statistics. Additionally, some families have been campaigning for a "federal standard of liability" which could be used to sue colleges which allegedly do not run study abroad programs with proper oversight. Honestly, the desire of some for the federal government to oversee every aspect of our lives is mind-boggling. Not to mention that the threat of litigation makes anything less available and more expensive. As the parent of a student who just returned from a semester abroad, I have to ask: Whatever happened to personal responsibility? Perhaps studying abroad in places such as Ghana, Jamaica, and Tanzania isn't a wise idea? And perhaps a 16-year-old high schooler with Type 1 diabetes should have waited to study or travel abroad when he was older and better able to advocate for his medical needs? Studying abroad, like life, is never risk free. But instead of expecting the government to step in to monitor programs and make lawsuits easier to file, parents and students can research programs and countries, weigh the relative risks, and then take responsibility for making the best choices possible. Continuing the London portion of my travelogue...after spending the morning at Hampton Court we returned to London proper and spent much of the afternoon at Kensington Palace. Kensington Palace was the birthplace of Queen Victoria and is the place where she learned of her accession to the throne at the age of 18. Kensington Palace was also the birthplace of Queen Mary, wife of George V.
For many years Kensington Palace was the home of Diana, Princess of Wales, and the Queen's sister, Princess Margaret, and today it continues to be the home of some of the queen's cousins. The palace has a wonderful exhibit of many of Diana's most famous dresses. (Additionally, a well-remembered pearl-studded gown is currently on exhibit at the Victoria & Albert Museum.) Seeing the gowns was bittersweet, as the last time we were in London, in the late '80s, we saw Diana in person on two different occasions. The interior of the palace, incidentally, is in much better condition than Hampton Court. Kensington Gardens also features this statue of Queen Victoria, sculpted by her daughter Louise to celebrate the first half century of her mother's reign. Kensington Palace currently has a very interesting special exhibit called The Last Debutantes which will be open until early 2010. The exhibit describes life as a debutante in 1958, which was the last year when debutantes were formally presented to the Queen. 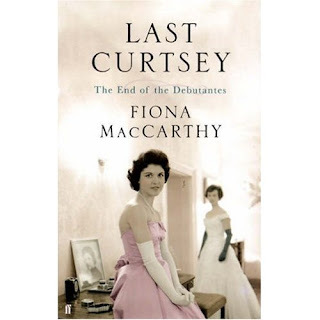 In the palace gift shop I bought a paperback copy of a book on this topic, LAST CURTSEY by Fiona McCarthy, which looks like a very interesting social history. The first time I visited England I stayed in a hotel in the immediate area and frequently saw this beautiful statue of Prince Albert, which is across from the Royal Albert Hall. 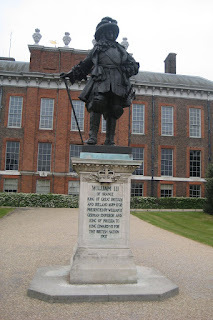 I therefore came to associate the statue very strongly with London, especially as I admire Prince Albert. My daughter got to know this monument quite well, as she wrote a paper on it for an architecture class this semester. ...and a stop at the shopping wonderland every tourist has to visit at least once, Harrod's. I've always wanted a toast rack -- not something one sees often in U.S. stores -- and thanks to Harrod's I now own one! Before continuing with additional posts on our visit to Disneyland Paris, I thought I would fast-forward and share more about our days in London. On our first full day after returning from Disneyland Paris, we took the train to see Hampton Court Palace, located on the River Thames just a few miles outside London. Hampton Court was the home of King Henry VIII and British monarchs until the 18th century. As with most palaces, photography is only permitted outdoors. You can learn more about the palace at the official website (click the title of this post). The Fountain Court, designed by Christopher Wren. It's shot at an off angle as I wanted to exclude a lawn mower from the photo! Click any photo to enlarge and view details. Hampton Court was interesting but was not kept up as well as other royal palaces we have visited. It's in definite need of some heavy-duty restoration work, which is no doubt extremely expensive. Paper signs appearing here and there were tacky and appeared sloppy; surely they can do better than that. The Tudor era has never been of particular interest to me, but due to visiting Hampton Court I decided to try out the TV series THE TUDORS (2007) via Netflix. My opinion of the first three episodes, viewed over the weekend, is mixed. The "fresh look" at history is well done, with lots of interesting palace intrigue headed by the always-fascinating Sam Neill as Cardinal Wolsey. There are other good performances, including Jeremy Northam (EMMA) as Sir Thomas More and Maria Doyle Kennedy as Catherine of Aragon, although I might have detected an Irish brogue peeking out from under Catherine's Spanish accent. Natalie Dormer shows promise as the manipulative Anne Boleyn. Henry's liaisons with Lady Blount (Ruta Gedmintas) and Mary Boleyn (Perdita Weeks) may have been true to history, but it would have been more interesting if the filmmakers had invested the effort to depict these scenes with some subtlety. The filmmakers seem to have lost sight of the concept that "less is more." One has the sense that they were showing some things just because they could, but the scenes were not dramatically compelling in the least, nor were they necessary to understand the plot, as was proven by my using the fast-forward button. I'll try the next disc and hope it improves and that we see beyond Henry's shallow exterior to the man inside. (Or maybe, given his track record, there was no "there" there?) If anyone has watched this series, I'd enjoy your thoughts. London posts coming soon: Kensington Palace; Windsor Castle; Blenheim Palace; and more! AMBUSH is a solidly made cavalry Western, with good performances and excellent use of location shooting in New Mexico. The exciting opening credits sequence sets the tone, with Indian drums beating as Leo the Lion roars, followed by silence as the viewer surveys the aftermath of an Indian ambush. The title then zooms onto the screen as the Indians ride away from the scene of the attack. Robert Taylor stars as Ward Kinsman, a civilian cavalry scout who is recruited to help find the sister of Ann Duverall (Arlene Dahl). Ann's sister has been kidnapped by Indians. Ann has a tentative romance with the outpost's second in command (John Hodiak) but can't help but be interested in the charismatic Kinsman. Taylor registers strongly as the tough scout. He was a terrific Western star; one only wishes he'd had time to make more of them. (Taylor Westerns previously reviewed here: WESTWARD THE WOMEN, MANY RIVERS TO CROSS, and SADDLE THE WIND, which was recently reviewed by Moira Finnie at the TCM Blog.) Taylor, an outdoorsman in real life, looks completely at home on a horse and shooting a rifle. Dahl is appropriately lovely and spirited, while Hodiak is mostly saddled with being annoying. An interesting subplot features Don Taylor as a lieutenant who loves the abused wife (Jean Hagen) of an enlisted man (Bruce Cowling). The ambiguous ending to their storyline was a bit of a surprise. Always-reliable Leon Ames plays Major Breverly, the fort's commanding officer. John McIntire does a great job as Kinsman's grizzled fellow scout. McIntire could be a real chameleon; this part is completely different from his role as the bespectacled, quiet detective in SCENE OF THE CRIME (1949) and different still from his role as the kindly, determined rancher in WESTWARD THE WOMEN (1951). The extensive use of location shots featuring the principal actors adds a great deal to the film's realism. (Occasionally a back projection shot is cut into a scene which was otherwise filmed on location; it would be interesting to know the reasons why.) The striking rock formations and desert vistas were photographed by Harold Lipstein. AMBUSH was the last film directed by Sam Wood, who passed away in 1949. Wood's career dated from the silents and included A NIGHT AT THE OPERA (1935), GOODBYE, MR. CHIPS (1939), KINGS ROW (1942), and THE PRIDE OF THE YANKEES (1942). Wood was also one of the directors who toiled on GONE WITH THE WIND (1939). He stepped in when Victor Fleming was out of commission due to illness and continued to work on the film after Fleming's return. AMBUSH was shot in black and white and runs 90 minutes. It has not had a VHS or DVD release. It can be seen as part of the library at Turner Classic Movies, which has the trailer available here. 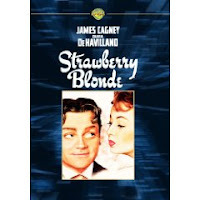 February 2011 Update: This film was just released on DVD-R by the Warner Archive. The cover art is terrific!